People, people, people…oh my gosh. Why did I wait so long to get an Instant pot? Were you guys smarter? Did you jump on this earlier? I just got my Instant Pot and I can hardly catch my breath after making this risotto, my mind is racing with all the possibilities. I mean, I’ve slaved over many a pot of RISOTTO in my life, and this is a game changer. I actually think the risotto texture is better out of the Instant Pot than when it’s laboriously cooked on the stove, it has more of a ‘bite’ to it ~ not as mushy. I think we’re going to have a different risotto for dinner every night this week…booyah! The miraculous thing about the Instant Pot is that you can saute right in the machine, and the heating element is quick and powerful. The removable pot is a nice heavy stainless steel, too. After sauteing the aromatics, I add the rice and broth, close it up, and the whole thing cooks in 6 minutes. No no standing at the stove, no endless ladling and stirring, no nothing. The only problem was I actually found myself a little rushed trying to get the table set before the Instant Pot timer went off! 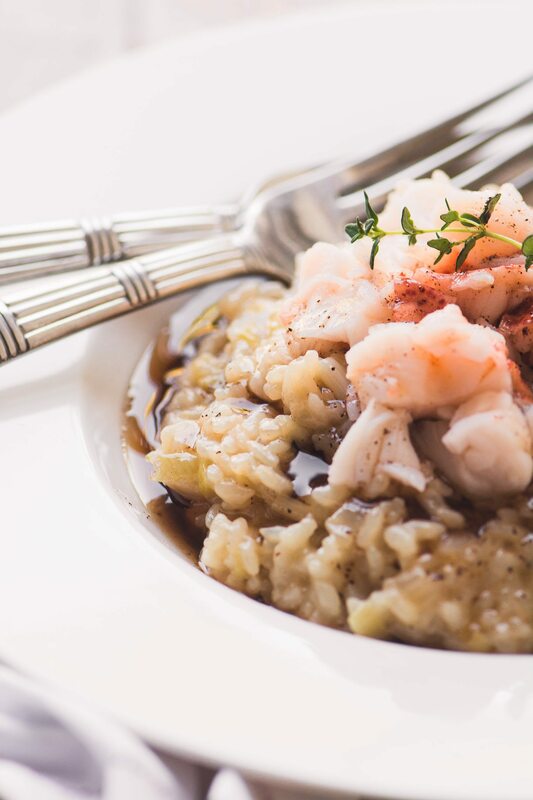 After the Instant Pot beeped I stirred in a couple of spoonfuls of Mascarpone cheese, scooped out my risotto into shallow bowls, arranged the lobster meat on top, and drizzled liberally with browned butter for an added dose of luxury. The browned butter is optional, but very luxe. Just heat a stick of butter in a pan over medium heat, let it melt, and swirl it around for another few minutes until you see it turn a rich nutty brown. That’s the milk solids in the butter caramelizing! Watch it like a hawk so the butter doesn’t actually burn. If it seems like it’s going too fast, take the pan off the heat and swirl it to cool it down. I bought 2 lobster tails, which were available in my supermarket because we’re close to Valentine’s Day, but if you can’t get lobster, then shrimp or scallops will work fine. 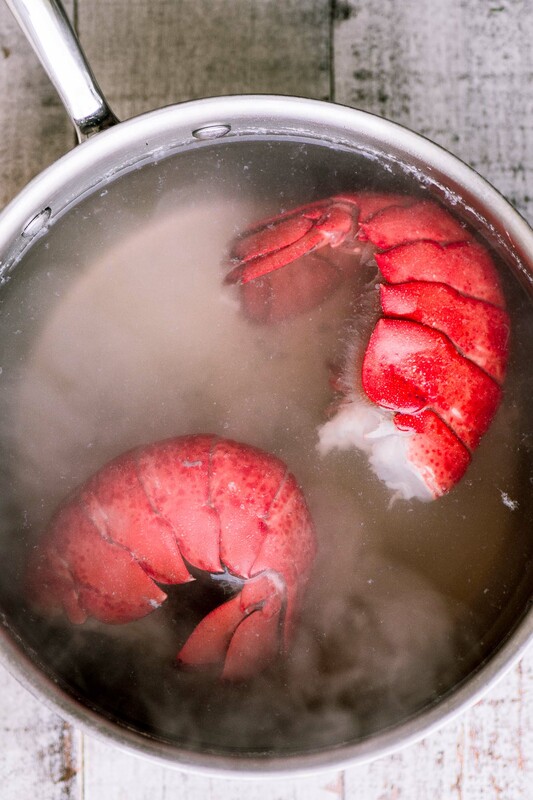 The lobster (or other shellfish) cooks up in minutes in a pot of boiling salted water. When the tails turn bright red and curl up, they’re done. You can serve them whole, right on top of the risotto, or remove and chop the meat. Just cut along the length of the back of the shell with a pair of kitchen shears and then crack it open, the meat will pop right out. TIP: You can also buy frozen lobster tails, but be sure to thaw them before boiling. *I’ve linked to my Amazon affiliate account for this Instant Pot. When you purchase something (it doesn’t have to be the item I link to) through my site you pay the same price but Amazon gives me a small commission. It’s one of the ways I can afford to keep TVFGI on the air. Thank you! Safety Note: This recipe is formulated for the Instant Pot. Please don’t try this with stove top pressure cookers as I haven’t tested it on other models. Always follow all safety instructions in your manual, and follow the recipe instructions carefully. 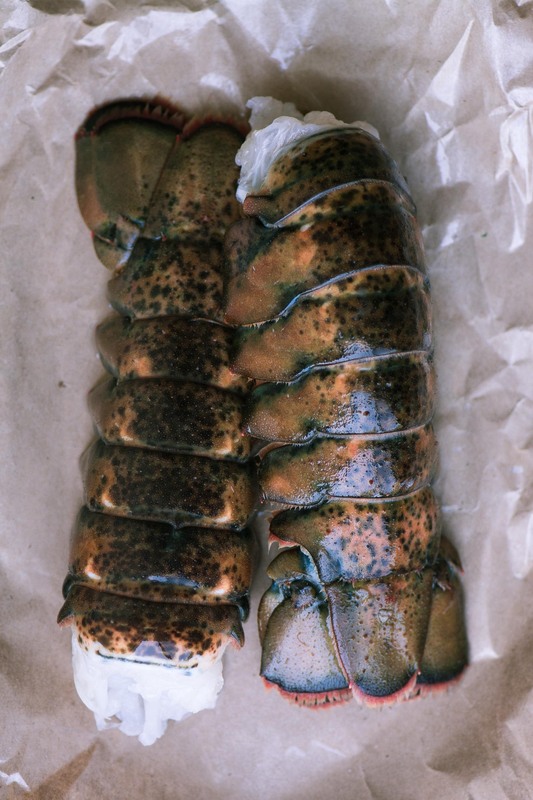 Bring a pot of salted water to a boil and boil the lobster tails for about 7 minutes, or just until the shells turn bright red and the tails curl. Let the tails cool slightly and then use kitchen shears to cut lengthwise along the back of the shell. Crack it open and pry out the meat. Give the meat a rough chop and set aside. Add the 1 Tbsp butter and olive oil to the Instant Pot and push 'Saute'. Saute the shallots and leeks for a minute or two, then add the garlic and cook for another minute. Add the rice and stir well. Add the brandy and let it absorb for a few seconds. Add the fish stock and give everything a stir. Put the lid on, lock, and set the pressure release valve to 'sealed'. Press 'pressure cook' and set the timer for 6 minutes. When the timer beeps, release the pressure and open the pot. Stir in the cheese and season with salt and pepper to taste. Serve in shallow bowls topped with the lobster and drizzled with browned butter. Garnish with fresh thyme or chives. To make browned butter, heat the butter, stirring constantly, in a skillet over medium heat. It will melt, and then foam up. After the foaming subsides the little specks of milk solids in the butter will start to turn brown. Keep stirring or swirling the butter until it is a nice deep brown. Be careful not to take it too far or it will burn. Because it’s mid February and Valentine’s Day is around the corner I pulled out all the stops with this risotto. But you can simplify if you like. Use other shellfish like scallops or shrimp in place of the hard to source lobster. No fish stock? Use chicken. 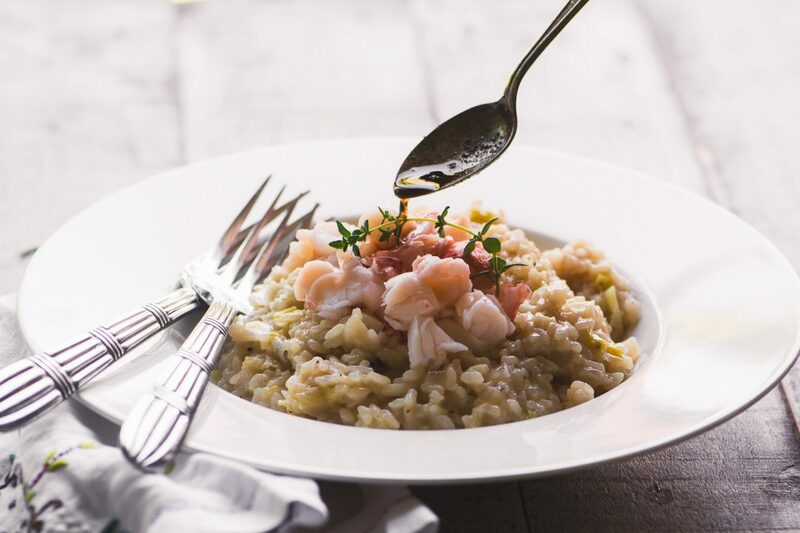 Don’t try to substitute another variety of rice for risotto ~ arborio rice is a starchy, short grain rice that cooks up firm and creamy ~ just what you want in risotto. 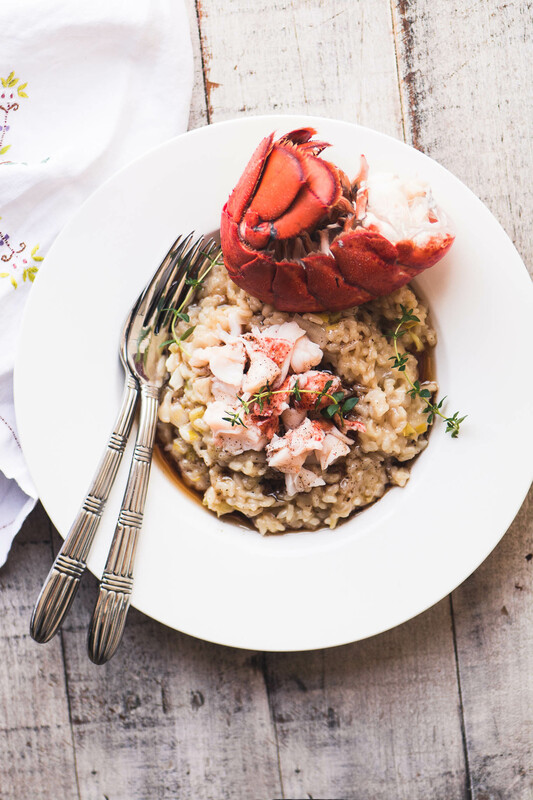 If you’re craving risotto but need to eat low carb, try this Cauliflower Risotto ~ there’s no reason you can’t add a little lobster! 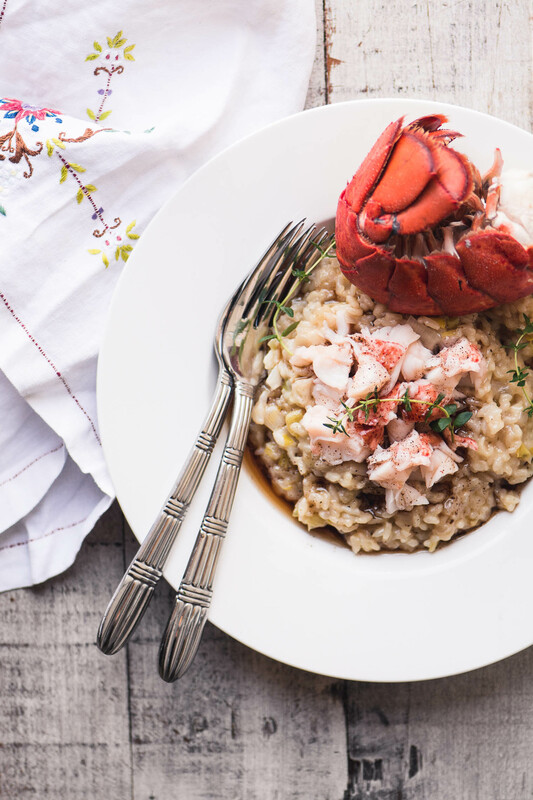 Don’t forget to pin this 6-Minute Lobster Risotto! I work until 7:00 on Valentines Day so I made this tonight, two days before, for my husband and me. We had it with a sparkling white which made a gread contrast to the richness of the risotto. And was it ever rich. The only change I made was I used seafood stock (made from shrimp shells and aromatics). It was soooo easy and very very special! I did use the brown butter and maybe too much—I’d cut back to a couple of tablespoons of the brown butter drizzled but this is luxurious! Thanks for the feedback Maureen, and how nice that you got a little head start on Valentine’s Day! I love your blog. Was going through my 2018 emails to save the recipes and receipts I wanted to keep., and because this looks so amazing, I saved it. I didn’t have an InstaPot at the time you sent out your email, but I do now. I have a question about sizing. 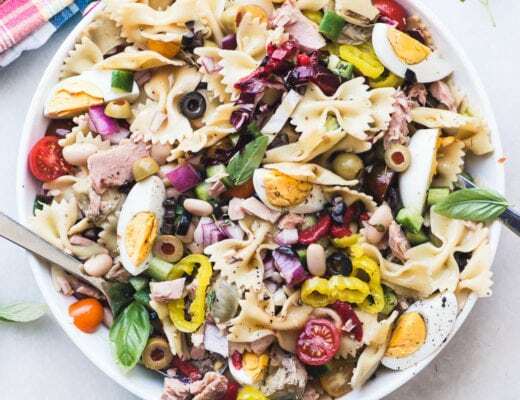 Can I make this for four or six people and just double or triple the recipe, or in your experience, or should I adjust the fluids? I’ve only used my InstaPot twice (just got it) so I’m not familiar with it yet. Happy Holidays and thanks! The instant pot risotto I make feeds 3-4, and to be honest I haven’t ever needed to double the recipe so I’m not sure about it. My guess is you can just double everything, but that would be the biggest I would go. I’m sorry I can’t be more specific, but the next time I make risotto I’ll test it out. Fantastic! I could probably just increase it by half the recipe then and serve it for our GNO (girls night over). Thanks for replying (and ignoring all my typos that I couldn’t see on my phone)! Happy New Year! I made the Lobster Risotto last evening for dinner. I made a few substitutions- a package of frozen lobster pieces, just thaw and add to the recipe, sushi rice for Arborio rice, and cream cheese for Mascarpone. I had these things on hand. I also made a side dish of steamed broccoli. I think this is one of the most delicious meals I have ever prepared! So delicious!!! Thank you so much for this gem of a recipe. I think it could also be made with shrimp or maybe chunks of cod fish. I’m so glad you loved it and could adapt to what you had Helen! I think this would be great with shrimp, I think I’ll do that. Yummy! This is such a delightful risotto recipe, Sue. What I like most about, besides being appetizing, is that it is easy and quick to make. 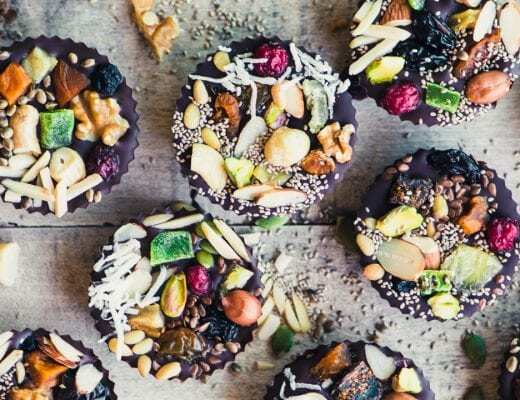 So, an instant pot s a must have! I believe you can, Carrie, since the Instant Pot is a pressure cooker. You might need to fiddle with the exact number of minutes, depending on your machine, but it should work! 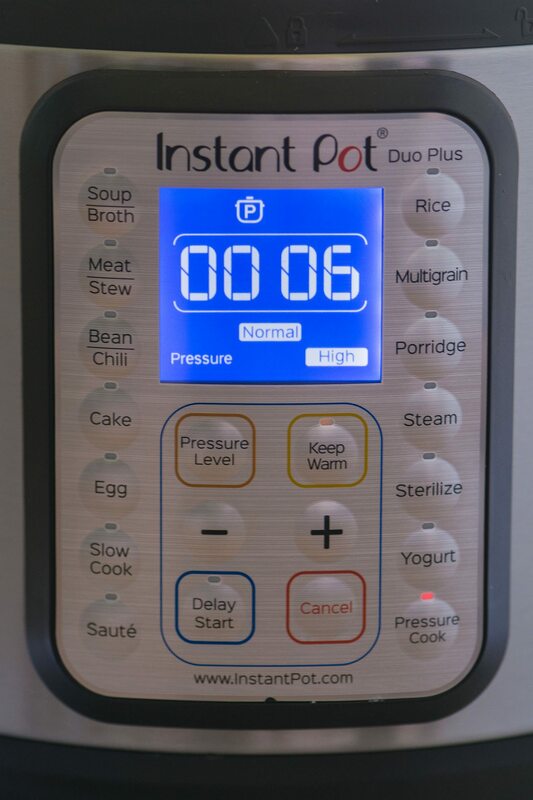 I keep trying to decide whether or not to get an Instapot. May have to give in and get one. Risotto in the instant pot is the best! Can you recommend something to use in place of Brandy? I don’t have any and don’t normally drink it, so didn’t want to buy a whole bottle, but really want to make this for Vday! Yes, you can substitute Marsala wine, or any dry white wine, Lauren. OMG I love how fast this fancy meal comes together. The hubs would LOVE this. Thanks for the inspiration! I love risotto so much but it takes so much time over the stove. This Instant Pot recipe is a life saver. Thank you so much! Lobster has a similar texture to shrimp or prawns, Silvia, and as for the taste, you almost have to experience it for yourself, it’s indescribable! 6 minute?! No way! What an elegant meal. Instant Pots are seriously the best! I love my Instant Pot! The one thing I haven’t tried is risotto! This is going on the menu next week! So funny, I’m so amazed I’m stalled at risotto, I can’t stop making it! 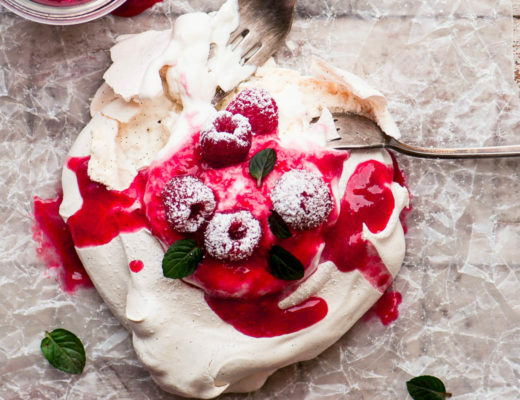 What an incredible dish for Valentine’s Day, but really, for any day! This would be worth slaving at the stovetop for you if you had to, but ready that quickly in the Instant Pot!? One more reason to look forward to getting mine! 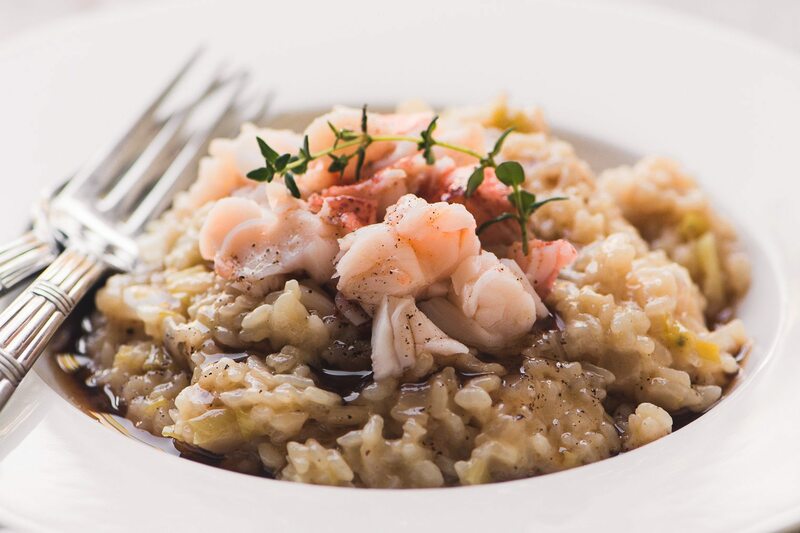 The risotto looks amazing with lobster! I would have never thought of using lobster in rice…..what a lovely recipe! Oh my this sounds fantastic! I love juicy, buttery lobster. It must be fantastic with this creamy risotto! Bravo! I’ve asked myself the same questions about the instant pot. It’s crazy all the fun stuff (and quick) stuff it can do! This risotto sounds amazing! What a delicious but super easy special occasion dinner!